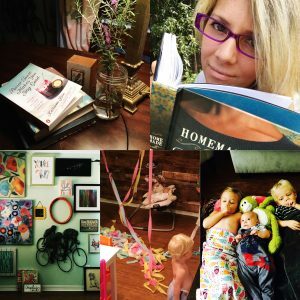 The Mommy Project | Ep.-12 Reading Confessions, creepers on Netflix, and how to podcast, cry and while getting your fitness on! Ep.-12 Reading Confessions, creepers on Netflix, and how to podcast, cry and while getting your fitness on! 04 Sep Ep.-12 Reading Confessions, creepers on Netflix, and how to podcast, cry and while getting your fitness on! This episode is dedicated to all things related to books- movies and a good podcast listen. I totally forgot to mention a few must haves on Spotify- so I will mention those playlist in future episodes. You guys- if you have not checked out Stranger Things on Netfilix- you are missing out on some awesome creepiness. Tricks and Tips: Create a space for all your favorite books- even if its in your kitchen between the cabinets and the ceiling- what ever works! Go for long walks, wear sunglasses and let it all out while listen to encouraging podcast and music. Stitch Fix is my new awesome! Rearrange your art gallery wall until there are so many holes – you either get it right or get a repair man. Read what you love, listen to good music, and don’t be afraid to quit on a best seller or show everyone crazy about- there is more content to be be had- and Life is short. Ciao!